NIMC National ID Card Collection is ongoing: Check Ur's Here! 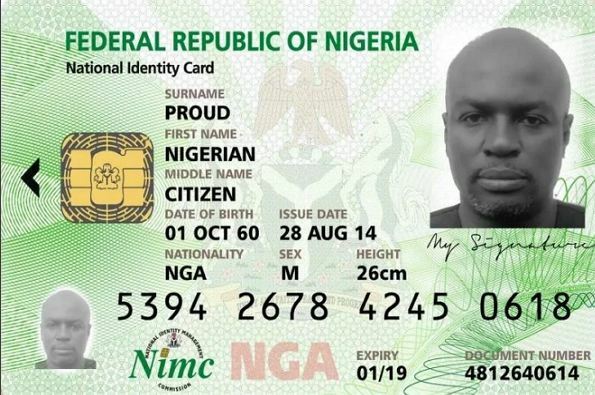 NIMC National ID Card: Check Ur’s Here! Enter your last 6 digits of your NIN document printed during the registration process. NB: The new National ID card explained by the NIMC Director, can serve as a cash card used in making payments; also for withdrawals on ATM’s. The card will be imposed to become a necessity as a pass in travelling out of Nigeria, particularly, West African Sub-Region. Hit the Share Button up of the post, to share with Ur Friends!……………. Should lay your complaint to the officials. That is, where you got registered!. When something as trivial as getting an ID, is Rocket Science, here!, Sighs!. I did mine back in 2013 till date, is unavailable… because of this, to some extent, I feel like there is nothing like NINC sef. so disappointing. for how long would I continue with the slip. sickening! same thing here! though, a friend of mine was lucky to get hers. The collection is still up in the coming weeks. You should keep tab of the link. Perhaps, yours may be ready! Who knows. Quagmire!, that’s the buzz word of this space. When ready will it be sent to the centre u did the registration? I did mine this year may and I can wait to receive it with all these acclaimed loaded functions. This card is long overdue. I registered since 5th July 2013 and up till now not ready, too bad. Oga Director do something. The worse part of it is that government/banks don’t honour the Slip given . Stumble upon this, I was able to check mine, after 6 years. I tried somebody own returned nothing. Thanks 4 sharing! am ready to see mine. please this national identity card should Carry to grass root to peoples living in rural area ,for me I want to do my still June but some time the workers are not in my local government . I lost my slip they gave me after registration. What do I do to get it back or to check my status online? Please what last 6 digit number is required to check. On my slip I can only see a tracking ID number which is a combination of digits and letters. Pls help, I am confused. I did my registration since 2013 and they telling me is not still ready, for how long will I continue with the slip? Should Someone use Snapchat Snap Map Feature?